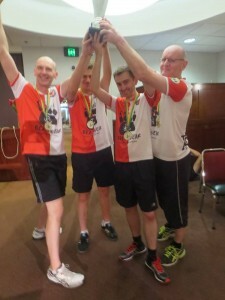 Two finals decided in the last seconds, and one on shots, were the highlights of the Australian Grand Prix in Sydney. 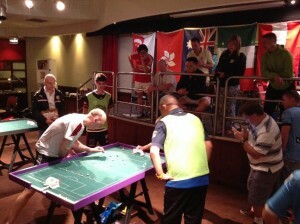 Christian Haas of Austria (World #8) beat Australia’s Carl Young (World #771) 3-2 with a goal in the dying seconds to claim the Individual title, while it was Carl’s goal in the last seconds that gave his Melbourne TFC a spectacular win on goals against Singapore’s Jurong Central 1-1 (6-5) in the teams event. And in the U15 final, Northern Falcons’ Jonty Brener claimed the title 1-0 on shots against Subbuteo Parramatta’s Imojjen Elmer after a tight 0-0 draw. 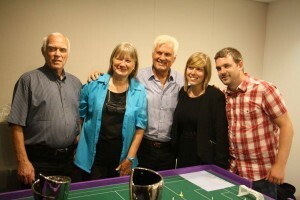 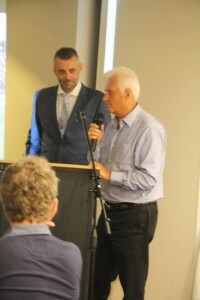 The event featured players from 10 clubs and six nations, as well as a spectacular opening dinner and draw on the Friday night, hosted by football commentator Simon Hill (himself a Subbuteo player) with guest Rale Rasic, former Socceroo coach of the famous 1974 team, and football commentator Stephanie Brantz. Rale with Christian Haas’ family. He cheerfully spent time taking photos and talking with all players. 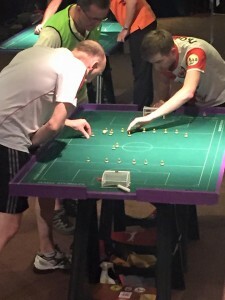 There was an abundance of goals and great results in the group phase of the individual event, with all the seeded players topping their groups. Outstanding results were John Ho (AGP seed 3) against Benji Batten 3-3, Anas Rahamat against Peter Thomas (Seeded 2) in a 1-1 draw, and Raffaele Lombard’s 1-1 draw with Bernard Lim (Seeded 8). 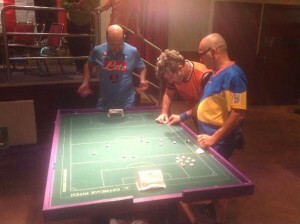 In the barrage round, Raffaele overcame his close rival Fabrizio Coco 1-0, but then fell in the Round of 16 to Peter Thomas 0-1. Carl moved on with a 2-0 win against John Ho, while Rob Green (Seeded 6) had to battle hard to beat Adrian Elmer 1-0. 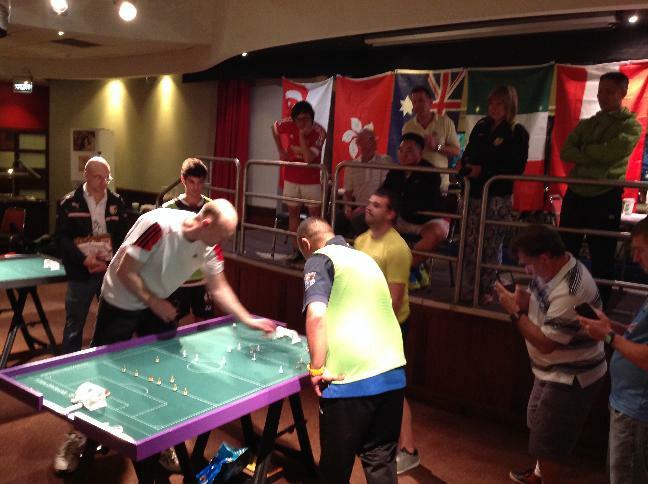 In the quarters, Christian Haas (Seeded 1) eased into top gear with a 5-1 win against Vikas Chandiramani (Seeded 9), and Carl edged Rob Green 1-0. 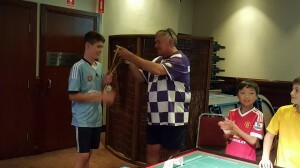 Peter Thomas fell to his clubmate Young in the semi in an extremely tight match, while Christian secured the other final place. In the final, Christian scored after just two minutes, then repeated the dose after 4 mins to race to a 2-0 lead, before Carl pegged him back with some determined play just before half time and then drew level after four minutes of the second half. 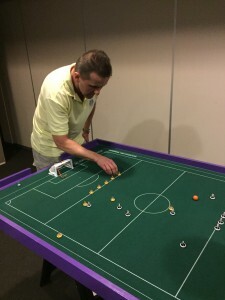 But the Austrian champion kept his head and with the clock counting down and seven seconds remaining, he slipped through Carl’s defence for an unbelievable winner!! 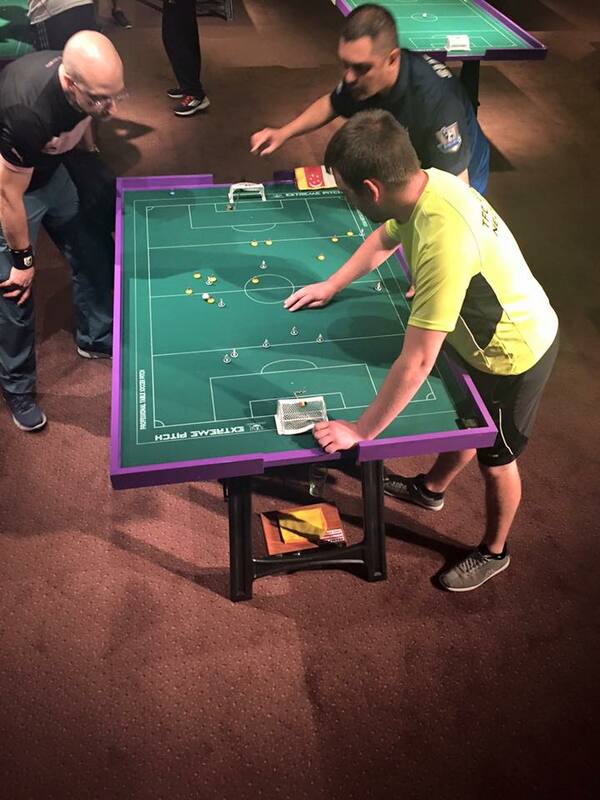 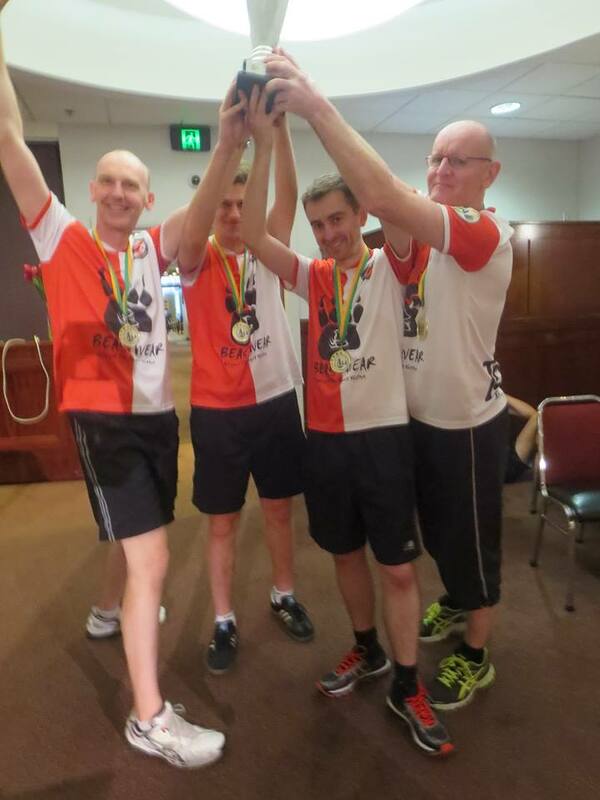 In the teams event, reigning champions Northern Falcons were severely weakened by the absence of top players Eliot Kennedy, Jonathan Ball and Dominic Grenot, but the replacement players battled valiantly in the group phase. 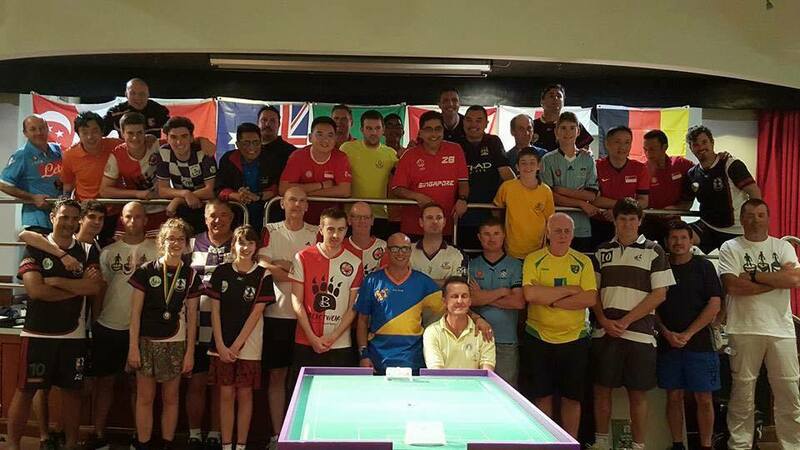 It quickly became apparent that the two Singapore teams would face in the semi, while Melbourne and Parramatta would play in the other. 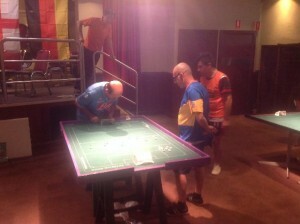 Melbourne pulled off a close win to make the final, facing up against Jurong. 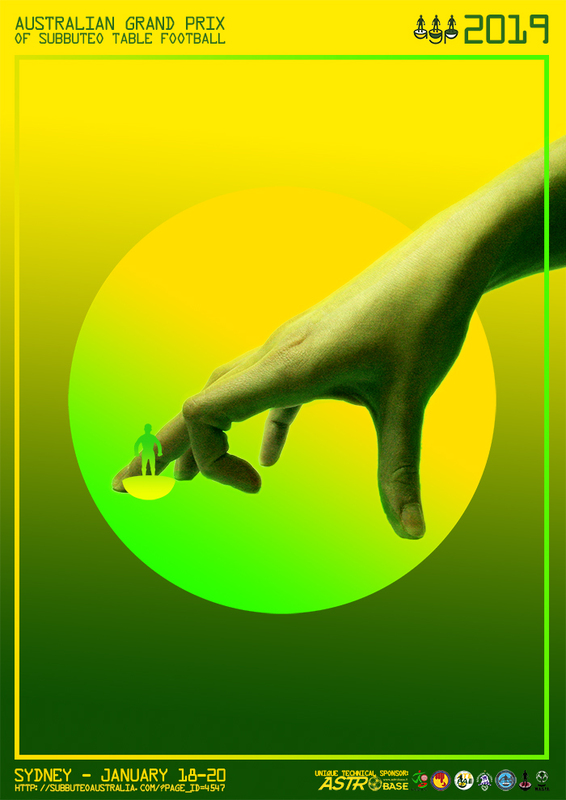 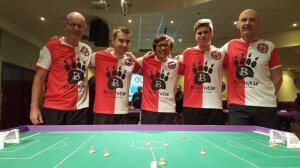 Once again the tactics of team selection made the difference, with Peter Thomas facing Rudy Hesty and Carl against Anas, while Benji took on Mohammed Rizal and Benny played Vikas. As Benji took the lead in his match, and Vikas led Benny, the match was finely balanced. 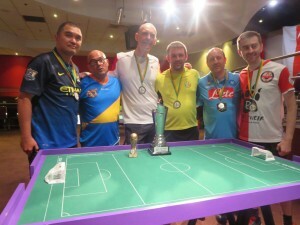 With Peter and Rudy trading goals, it looked like Jurong had the match in the bag, with Anas leading Carl. But once again, as the clock counted down, it took a steady hand, as Carl banged in an equaliser that gave his team the win on goals. 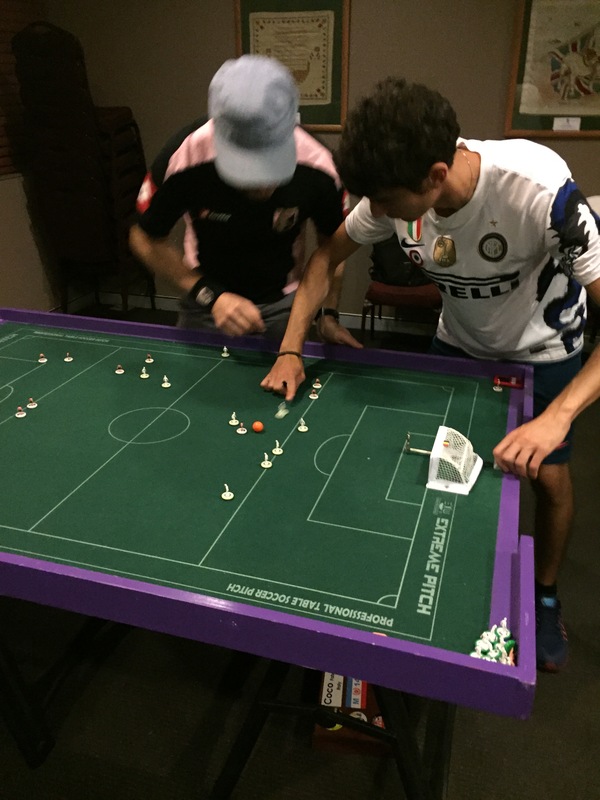 In the U15 event, two newcomers to competitive play provided some great action, with Gabriel Lombardi of Subbuteo Parramatta making the semi final, and Daniel Sirmai of the Northern Falcons enjoying his debut. 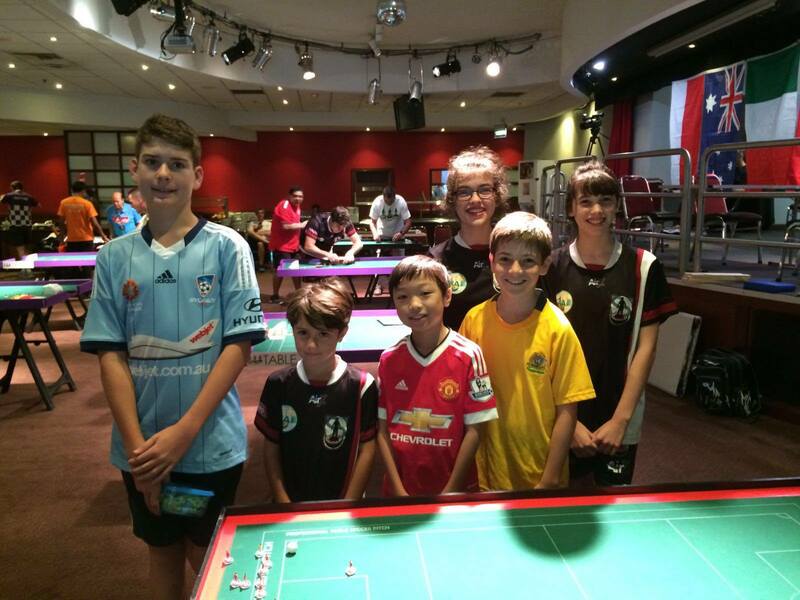 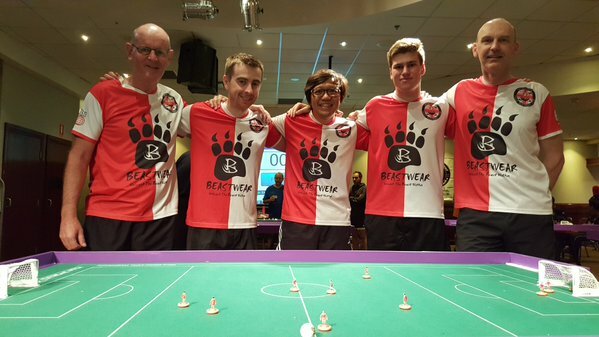 Sisters Æowyn and Imojjen Elmer of Subbuteo Parramatta, Jonty Brener and last year’s winner Benjamin Ng of Melbourne TFC made up the numbers, with close matches all around. 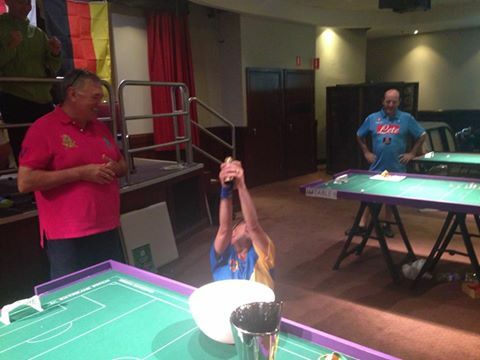 In the final, Jonty held his nerve, scoring with a delightful chip in the shootout to beat Imojjen 1-0. 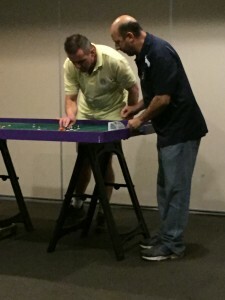 This entry was posted in News and tagged australian grand prix, australian grand prix 2016, fistf on 31/01/2016 by Steve Dettre.